The Toshi Clinch Big Band is a new big band project based in the Dallas, Texas area. The band features members from around the United States and brings a broad range of musical styles into the traditional big band format. Primarily performing original compositions and arrangements by Toshi Clinch, the band also features pieces by members of the band as well as other local composers and arrangers. In August 2017 the group released their first album VESUVIUS. Vesuvius is the first album by the Toshi Clinch Big Band. The title of the album comes from the famous volcano in Naples named Mount Vesuvius. The volcano is often associated with power and energy due to the amount of destruction it has caused in the past, because of this Toshi felt like it was a great symbol for the sound and time feel of the album. In April 2017 the band went into The Echo Lab studios in Argyle, TX for three days and recorded VESUVIUS. It was an amazing experience to have all twenty-five musicians performing the music, and the album is now available on all major streaming sites as well as iTunes and Amazon. Joshua is currently completing his undergraduate degree in Jazz Studies and Music Performance at the University of North Texas. He has been a member of the Grammy Nominated One O'Clock Lab Band for 3 years and has performed with Arturo Sandoval, Doc Severinsen, Dennis Mackrel, Bobby McFerrin, Eddie Gomez, Wycliffe Gordon, James Morrison, The Alan Baylock Jazz Orchestra, and many others. He has also maintained a busy career in the commercial and classical scenes in the DFW Metroplex. After completing his Masters in Music at The University of North Texas (UNT), Rigo is now a professional musician and educator in the DFW music scene and often performs around the United States with various artists. Whilst studying at UNT, Rigo was a member of the multiple Grammy Nominated One O'Clock Lab Band and has performed with James Morrison, Arturo Sandoval, Doc Severinsen, Dennis Mackrel, Danilo Perez, Bobby McFerrin and many others. Nick is currently pursuing an undergraduate degree in music at The University of North Texas and performs regularly in the DFW and Philadelphia areas. During his time at university he has been a member of both the Two O'Clock Lab Band and the multiple Grammy Nominated One O'Clock Lab Band. He has performed with numerous artists including Dennis Mackrel, James Morrison, Wycliffe Gordon, Danilo Perez, Eddie Gomez, and has played in bands under the direction of Terell Stafford and Jay Saunders. He has also performed with the Official Texas Jazz Orchestra. Based in the DFW area, Evan is currently pursuing an undergraduate degree in music at The University of North Texas where he was a member of the multipe Grammy Nominated One O'Clock Lab Band for two years. He has performed with various artists including Wycliffe Gordon, James Morrison, Doc Severinsen, Arturo Sandoval, and many others. Due to his ability on the trumpet he performs regularly in the DFW area, and has toured around the United States and internationally to perform. Spencer is currently completing his undergraduate degree in audio engineering at The University of North Texas (UNT) where he originally studied Jazz Trumpet. During his studies he has had the ability to workshop and perform with artists such as James Morrison and Michael League whilst maintaining performances with a range of groups both associated with UNT and outside the university. Spencer is now based out of the DFW metroplex. In his final year at The University of North Texas, Kennedy has had the opportunity to perform both nationally and internationally. 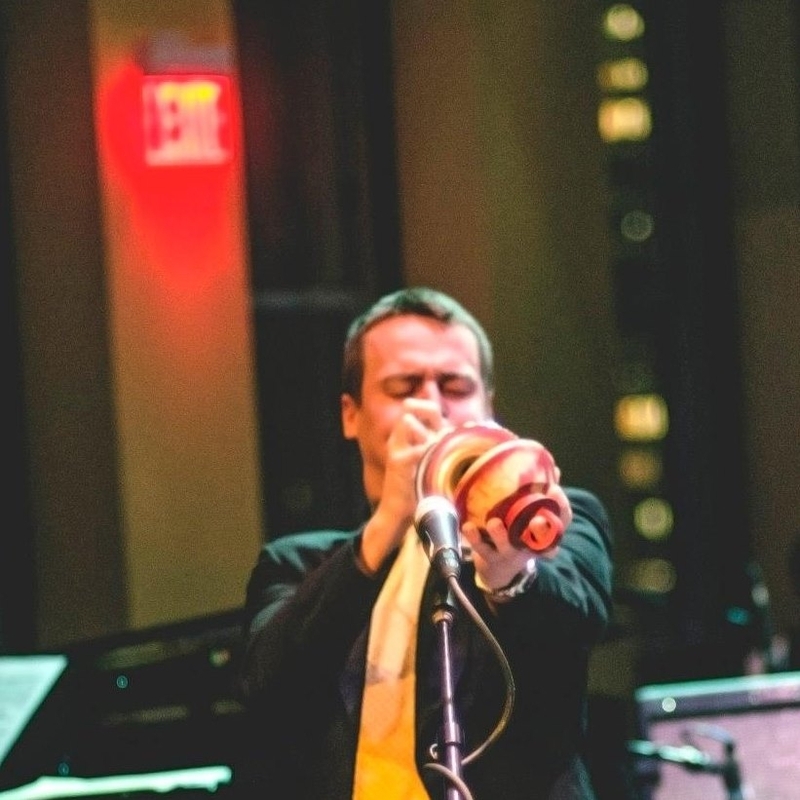 As a previous member of the multiple Grammy Nominated One O'Clock Lab Band, he has performed with countless artists including James Morrison, Dennis Mackrel, and many others. Currently Kennedy performs regularly in the DFW area as well as around Texas. Conner is currently finishing his Masters in Music at The University of North Texas. While at the University he has performed with The One O'Clock Lab Band for multiple years and has performed in multiple countries, as well as within the United States. He is now working in the DFW area and has performed with artists such as Dennis Mackrel, Sean Jones, James Morrison, and many others. A Los Angeles native, trombonist and composer Abdullah Ebrahim is currently finishing his master's degree in jazz trombone performance at the University of North Texas. Ebrahim has played with many Los Angeles big bands, including the John Daversa Progressive Big Band and the Late Night Jazz Orchestra. During his time at the University of North Texas he has been a member of the One and Two O'Clock Lab Bands. His solo work can be heard on the Two O'Clock Lab Band's 2016 recording “Channel Two”. Chris Sharpe is a Denton, TX-based bass trombonist currently working towards a DMA in Trombone Performance at the University of North Texas. A native of Oak Ridge, TN, Chris holds degrees from UNT as well as the University of Tennessee. Chris is a member of the One O’Clock Lab Band at UNT and recorded with the band on Lab 2015 and Lab 2016. 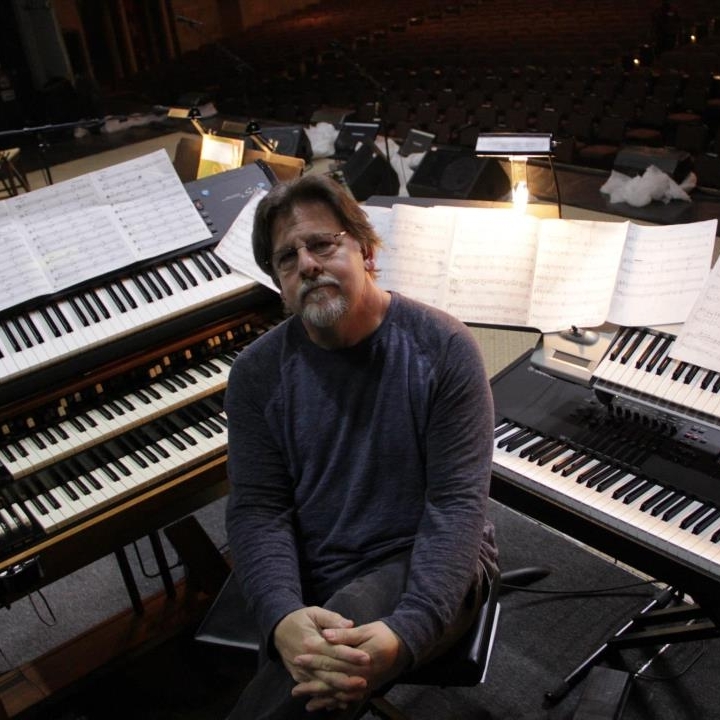 He has also performed with the Dallas Symphony Orchestra, Knoxville Symphony Orchestra, Knoxville Opera Orchestra, Keith Karns Big Band, Dallas Jazz Orchestra, and the Pecos River Brass Band as well as solo artists such as Bobby McFerrin, Doc Severinsen, Arturo Sandoval, Wycliffe Gordon, James Morrison, Marvin Stamm, Sean Jones, Lee Loughnane, Jens Lindemann, Ryan Anthony, Chuck Findley, Dennis Mackrel, and Jeremy Wilson. Chris is also an active arranger, and his arrangement of Eric Ewazen’s "A Hymn for the Lost and the Living" for 12 trombones is available for purchase through Hal Leonard Music. Howard is currently pursuing an undergraduate degree at The University of North Texas, where he has been a member of both the Two O'Clock Lab Band and the multiple Grammy Nominated One O'Clock Lab Band. Originally from the bay area in San Francisco, Howard continues to perform in both the DFW and bay areas regularly. He has performed and workshopped with Ron Carter, Jimmy Cobb, Christian McBride, Sean Jones, and many more. After recently graduating with an undergraduate degree in music from The University of North Texas, Brandon is currently pursuing his Masters in Music at the same university. Over the last two years, he has been a member of the multiple Grammy Nominated One O'Clock Lab Band and has performed with artists such as Dennis Mackrel, James Morrison, Sean Jones, and many more. Brandon is also a talented composer and arranger, and has had pieces played by The One O'Clock Lab Band. He performs regularly in the DFW area. After completion of his undergraduate studies in Music Education and Jazz Studies, Brendon is currently pursuing a Masters in Multiple Woodwinds at The University of North Texas where he is a member of the multiple Grammy Nominated One O'Clock Lab Band. He was named a winner of the 2015 National Flute Association's (NFA) Jazz Flute Master Class and was a featured soloist in the NFA's Jazz Flute Big Band. On top of this, Brendon was also selected to play Alto Saxophone and Piccolo in the 2016 Disneyland All-American College Band. Henry is currently in his final year at The University of North Texas, where he is pursuing an undergraduate degree in music. He is quickly becoming one of the busiest bass players in the DFW area due to his fantastic attitude and musical ability. Currently Henry performs with the mulitple Grammy Nominated One O'Clock Lab Band, and is the bass player behind the House of Cards soundtrack. Due to his background in Los Angeles, Henry maintains a busy work schedule in both LA and the DFW area. Originally from Missouri, Paul made the move to the DFW area in 2011, and has since established himself as a musical force to be reckoned with in the DFW scene. After completing his Bachelor of Music in Jazz Studies degree at The University of North Texas, he is now pursuing a Master of Music in Jazz Studies degree at the same University, where he has performed with the Two O'Clock Lab Band, as well as being a former member of the multiple Grammy Nominated One O'Clock Lab Band. He has performed with Sean Jones, Jon Faddis, David Friesen, Allen Vizzuti, James Morrison, and many others. Luke is a current drum set student at the University of North Texas, and performs regularly around the DFW area. He has performed with countless artists, including Jimmy Heath, Lewis Nash, Bobby Floyd, Tim Ries, and many more. Currently he is a member of the Two O'Clock Lab Band as well as the Latin Jazz Lab Band at North Texas, and has performed at a range of venues around both the United States and other countries.These include Disney World, Mikail Baryshnikov Arts Center NYC, CN Tower Toronto, and the Southern Theater. Pat is an accomplished pianist, composer, producer and arranger, as well as a highly respected studio musician. If you watch television, listen to the radio, or go to the movies, you have heard Pat and some form of his music. Pat has toured Japan, South America, Europe and the U.S. with such artists as Michael McDonald, Carmen McCrae, Olivia Newton John, Amy Grant, Vince Gill, Woody Herman and many others. Andrew is currently finishing his undergraduate degree at The University of North Texas. During his time at the university he has become the go to percussionist for the multiple Grammy Nominated One O'Clock Lab Band, as well as maintaining a busy schedule outside of classes. Andrew performs regular within Texas, as well as around the United States on both drum set and auxillary percussion. He has also workshopped and performed with artists such as Danilo Perez, James Morrison, Michael League, and many more. Primarily a drum set player, Hiroki is currently studying at the University of North Texas where he is in his final year of pursuing an undergraduate degree in music. He has had the opportunity to play Latin percussion alongside the legendary Danilo Perez as well as record and perform with multiple groups associated with the University. Previously a student of Jeff Hamilton, Hiroki currently studies with Ed Soph and is a thriving member of the Dallas-Fort Worth music scene. Nicholas recently received his Bachelor Degree in Percussion Performance at the University of North Texas. While at UNT he had the privilege of studying with many of the esteemed faculty including Christopher Deane, Jose Aponte, Ed Soph, and many more. He has performed with various ensembles within the University as well as notable groups such as the two-time Grammy Award winning Snarky Puppy, RC and the Gritz, and the multiple Grammy nominated One O'Clock Lab Band. Nicholas has also had the opportunity of performing alongside Chuck Findley, Eddie Gomez, Robert “Sput” Searight, Mark Letteri, Bobby Mcferrin and many more. As a versatile percussionist Nicholas is highly in demand throughout the United States and has performed in both Australia, and in a wide range of European countries. He is currently an active teacher in the Dallas metroplex.